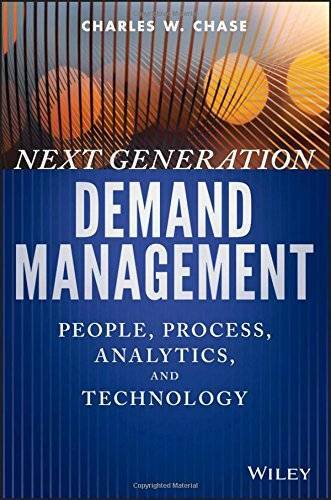 Charles W. Chase, "Next Generation Demand Management: People, Process, Analytics, and Technology"
Next Generation Demand Management is a guidebook to next generation Demand Management, with an implementation framework that improves revenue forecasts and enhances profitability. This proven approach is structured around the four key catalysts of an efficient planning strategy: people, processes, analytics, and technology. The discussion covers the changes in behavior, skills, and integrated processes that are required for proper implementation, as well as the descriptive and predictive analytics tools and skills that make the process sustainable. Corporate culture changes require a shift in leadership focus, and this guide describes the necessary "champion" with the authority to drive adoption and stress accountability while focusing on customer excellence. Real world examples with actual data illustrate important concepts alongside case studies highlighting best-in-class as well as startup approaches. Reliable forecasts are the primary product of demand planning, a multi-step operational supply chain management process that is increasingly seen as a survival tactic in the changing marketplace. This book provides a practical framework for efficient implementation, and complete guidance toward the supplementary changes required to reap the full benefit. Whether your company is a large multinational or an early startup, your revenue predictions are only as strong as your supply chain management system. Implementing a proven, more structured process can be the catalyst your company needs to overcome that one lingering obstacle between forecast and goal. 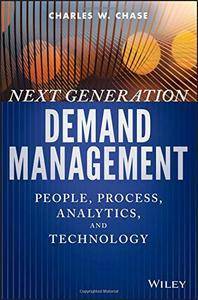 Next Generation Demand Management gives you the framework for building the foundation of your growth.